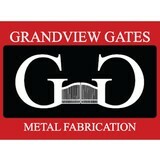 Grandview gates builds custom wrought iron driveway gates, garden gates, porch and deck railings, tables, arbors etc. 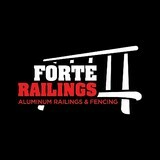 Now offering metal art and aluminum railings. Working with residential and commercial customers throughout Barrie and the surrounding area, we offer a wide variety of services and products for our clients including the following: Complete Landscape Design, Outdoor Living Spaces, Fences, Decks, Pergolas, Arbors, Trellis, Gates, Gazebos, Garage Lofts, Access Ramps, Railings, Repairs, Demolition, ect. Canadian Fence and Deck will design and build your backyard living space to suit all of your personal desires, needs, budget and bring them to life. We are committed to doing whatever it takes to ensure complete customer satisfaction. We are fully licensed and insured and offer warranties on all of our work to ensure customer peace of mind. 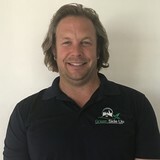 Our customers can expect friendly reliable service from start to finish, completed on time as specified and up to all building codes and safety regulations. Pre-cast concrete products with the appearance of natural stone.We manufacture Noise Attenuation Barriers, Privacy Fences and Retaining Walls. 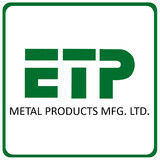 All our products have been engineered and tested in Canada. Nuvo Iron™ is the leading provider of iron fence and ornamental accessories in North America. We manufacture quality fence and deck products and distribute to major retailers and fence installers across the globe. 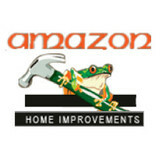 - For our homeowners, we provide unique and modern products for a head-turning new look. - For our contractors, urban designers, engineers and developers, we provide variety, flexibility and exceptional service for any fencing project. - For our dealers, we provide a modern and reliable product lineup which is always growing. With over 2 million feet of iron fencing produced to date, you can count on Nuvo Iron™ to get the job done! I am a metal fabricator, welder, blacksmith and designer. I create custom hand-forged wrought iron railings, gates, furniture and objects of art. All my work is designed in-house and all my designs are original for each and every client, as well as never duplicating my own work in over 20 years. From industrial welding to functional art, here at MAN VS IRON, I have your needs covered. With over 20 years in the business I have been able to perfect the WOW factor on every piece of work. My attention to detail, the creation of original iron art and true indepth understanding of flow of-design is what separates me from most companies. I take a great deal of pride in creating pure art in every piece of work and create each and every project, as if I was making it for my own home. Let me design something original and unique that will enhance the beauty of your home or castle. Advanced Entry Systems of Canada specializes in gate systems, telephone/intercom entry systems, access and parking control, and gate hardware. As the official Canadian distributor for top brands, such as Doorking, Linear, Byan Systems, HySecurity, AutoGate and BFT, A.E.S is able to supply leading edge automated gate entry systems and access controls to suit any configuration. We are proud to be the Byan Systems Gate Operator Repair Centre. With over 20 years of gate automation experience, A.E.S has a large portfolio with a trusted reputation. Muskoka Railings Your Waterfront Never Looked Better. The View Isn’t Our Only Feature. No more painting or staining. Never worry about orange peel, rusting wrought iron or rotting, loose wood. RJ Railings is dedicated and passionate about creating beautiful and functional fences, gates and railings solutions. We are using only the finest quality materials and work closely with our clients, ensuring that their specific design dreams and budgets are accommodated. We will be happy to cooperate with you on your next project. Our Company has been in business since 2011, serving customers in both the residential and commercial areas. With over 10 years of experience, we understand the range of needs of our customers and work with them to find the right fencing solution. We want our customers to be happy with their decisions and be able to enjoy their fence for years to come. Whether you need to secure your yard or just add some decorative flair to your landscape, fences are an integral part of a home’s exterior and curb appeal. Given their security and aesthetic importance, they need to be designed, installed and repaired correctly — luckily, fence contractors in Lefroy, ON can help. From devising custom fence designs to general fence repair and maintenance, these pros will have your fencing looking fancy in no time! Your Lefroy, ON fence installation and repair professional will work with you to create your ideal fence. Find a fence contractor in Lefroy, ON on Houzz. Narrow your search in the Professionals section of the website to Lefroy, ON fence contractors. You can also look through Lefroy, ON photos to find examples of fencing and gates that you like, then contact the professional who worked on them.